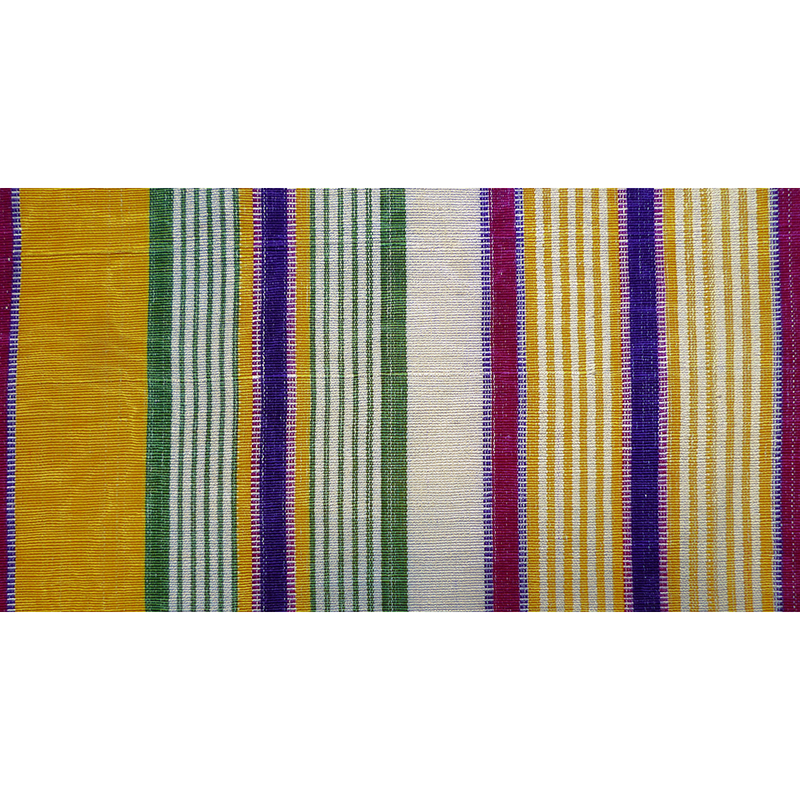 Bekasab (or bekasam) was a heavyweight, handwoven, multicolored striped fabric. 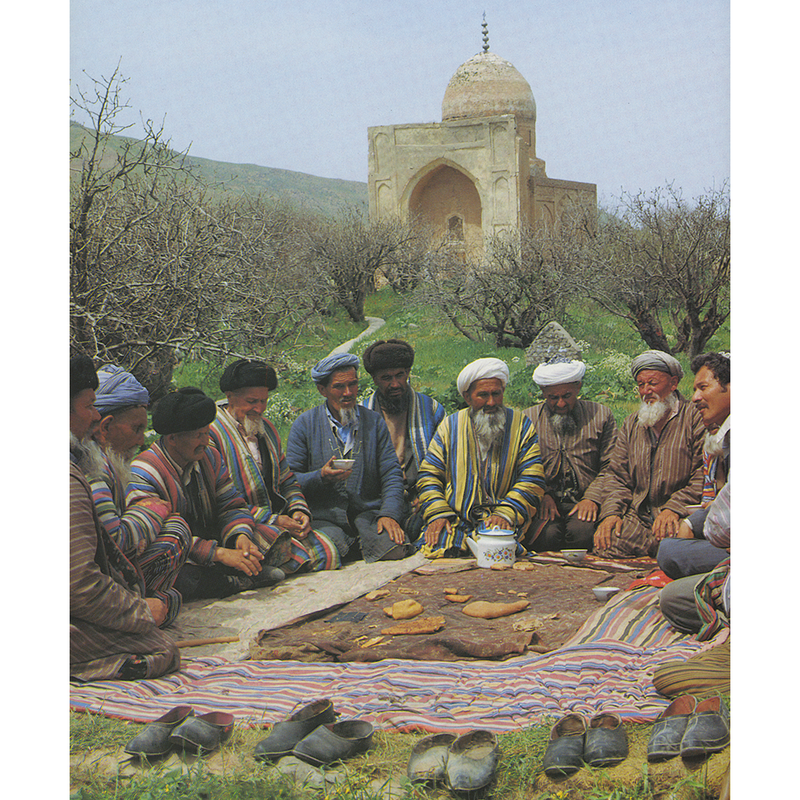 It was produced in vast quantities in Uzbekistan. 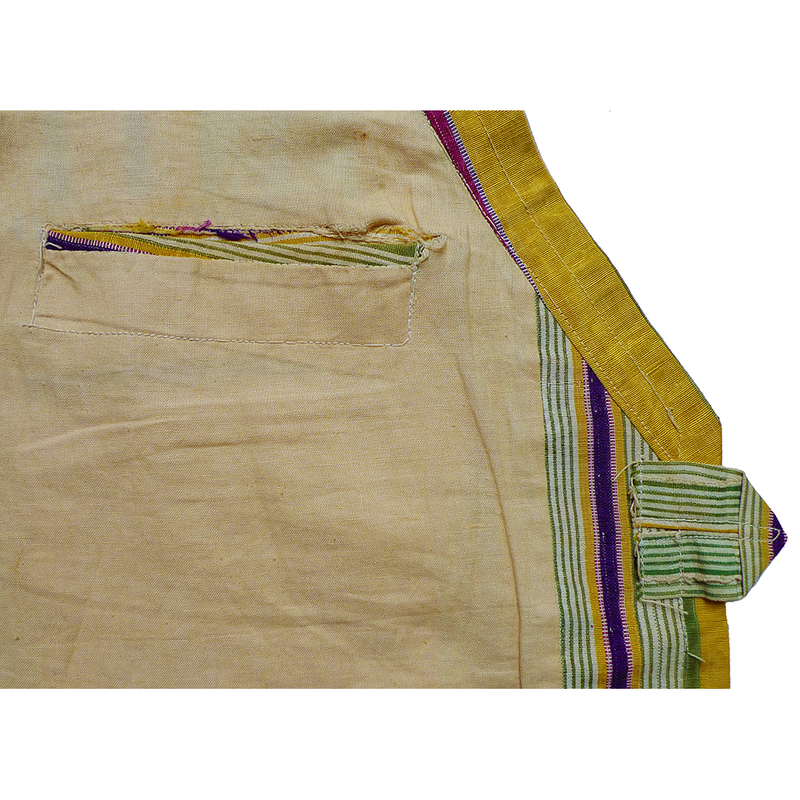 Woven with a silk warp and cotton weft, the surface was usually polished to a high sheen. It was also characterized by a fine horizontal ribbing. 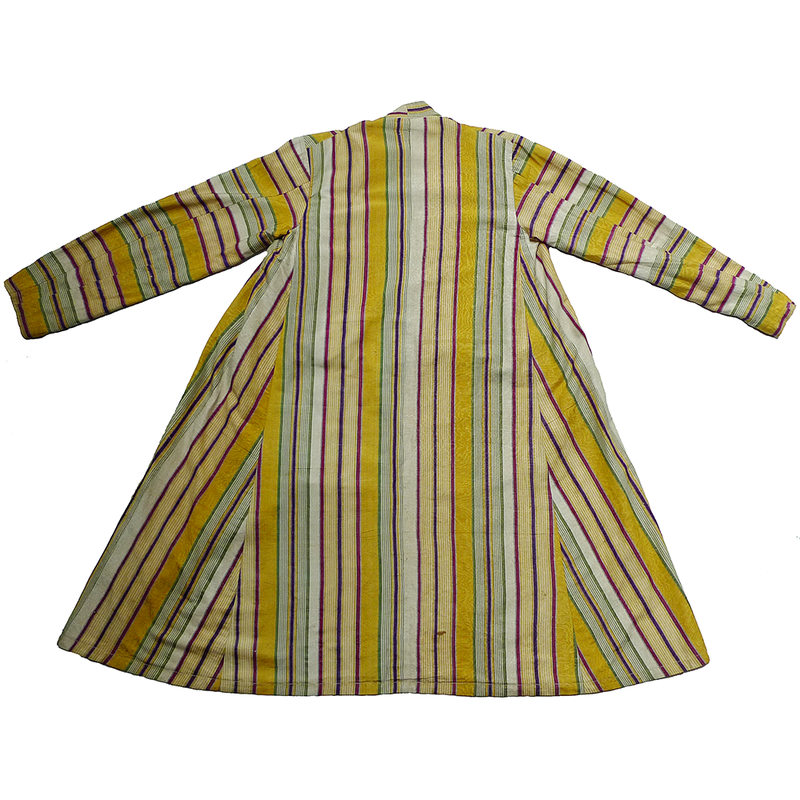 Extremely popular, it was a favorite robe material and was worn by everyone – from Khans to the common man, woman, and child. This striking bekasab fabric is finely woven and still retains its original luster and moire finish. It has a Western-syle touch with the addition of an inside pocket and a tab closure. 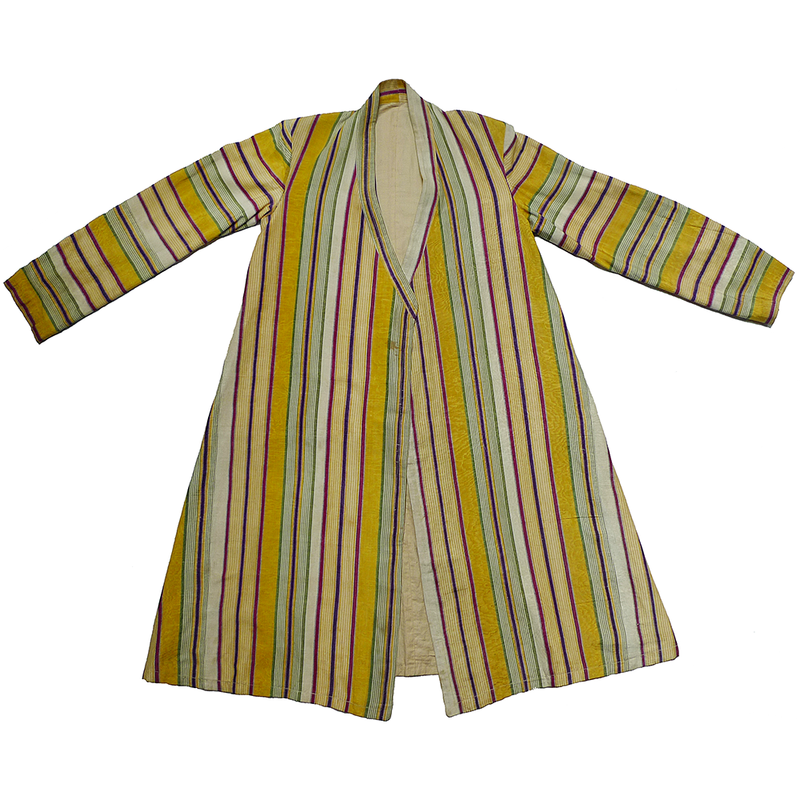 If you are interested in this robe and would like more information please contact Susan Meller.